What is invoked firstly instance initializer block or constructor? The initialization of the instance variable can be done directly but there can be performed extra operations while initializing the instance variable in the instance initializer block. 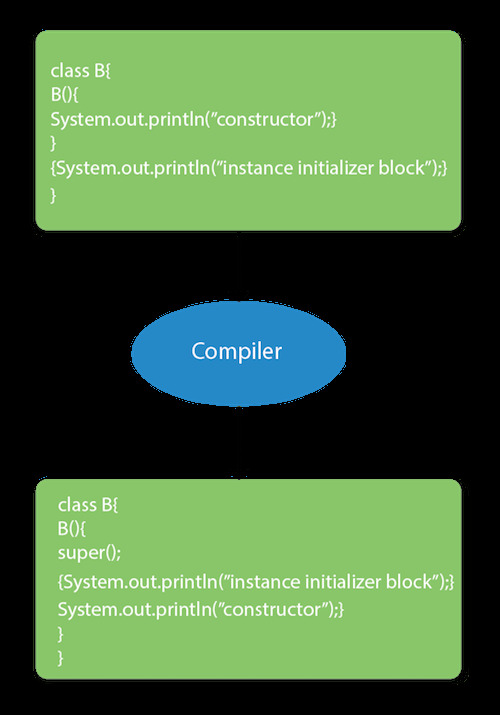 Let's see the simple example of instance initializer block that performs initialization. What is invoked first, instance initializer block or constructor?